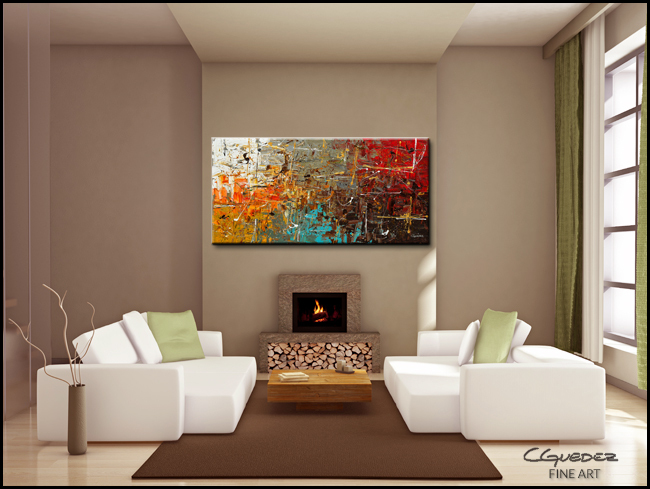 This original wall art 'Safe and Sound' has been hand painted with acrylic and oil mediums. 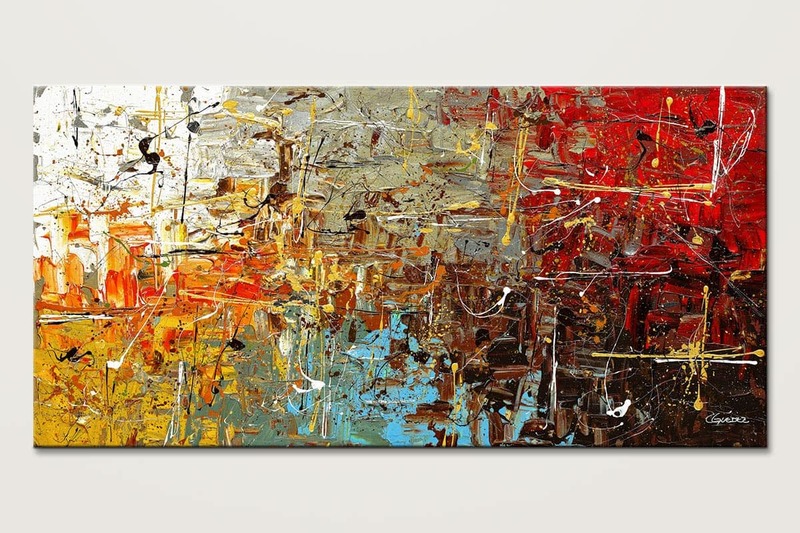 Great textured abstract painting. 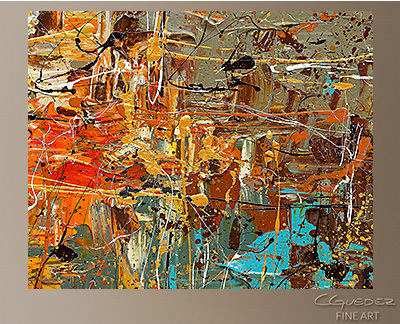 Main colors are turquoise, gray, orange, brown, ochre, gold, white, red and blue.